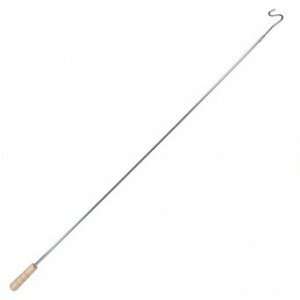 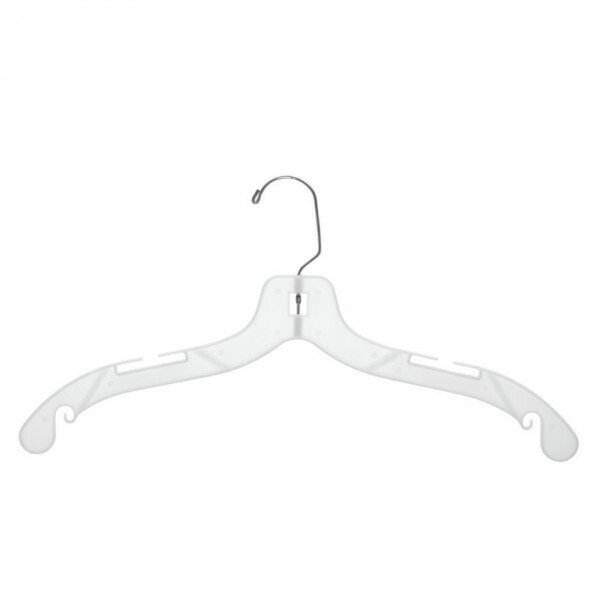 A box of 100 clear 17" plastic top hangers with chrome metal hook holds mostly adult garments and are made of recycled materials. 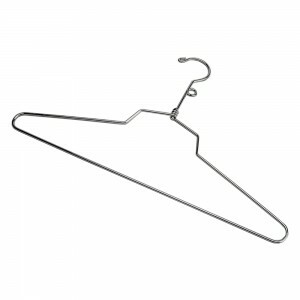 Usable as all -around clothing hanger. 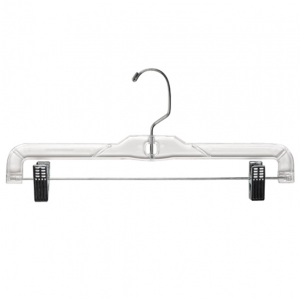 A box of 100 clear plastic top hangers with chrome metal hook. 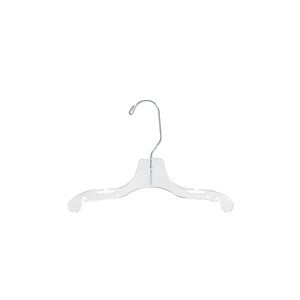 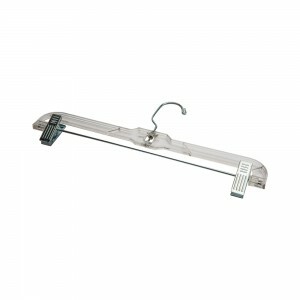 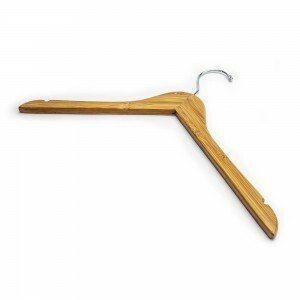 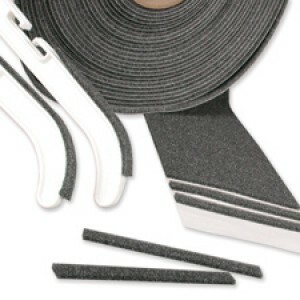 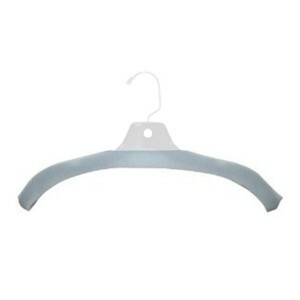 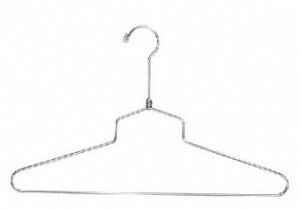 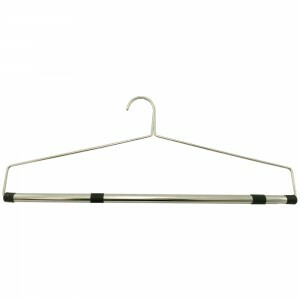 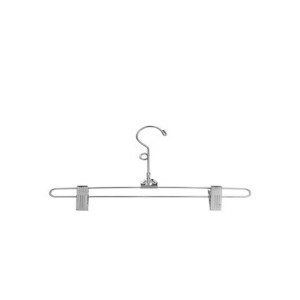 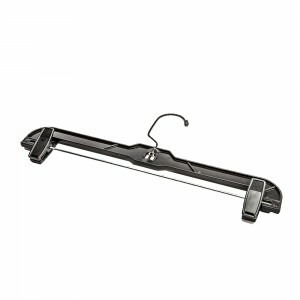 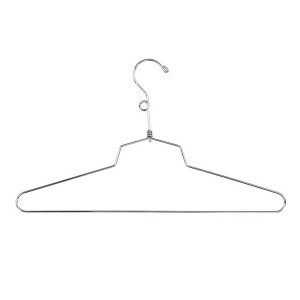 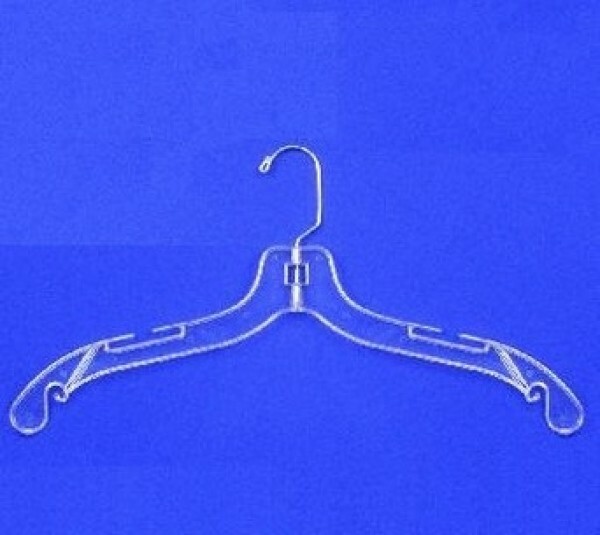 These large 17" Hangers hold most adult garments.